Whew, these new nail trends seem to be coming out every day! 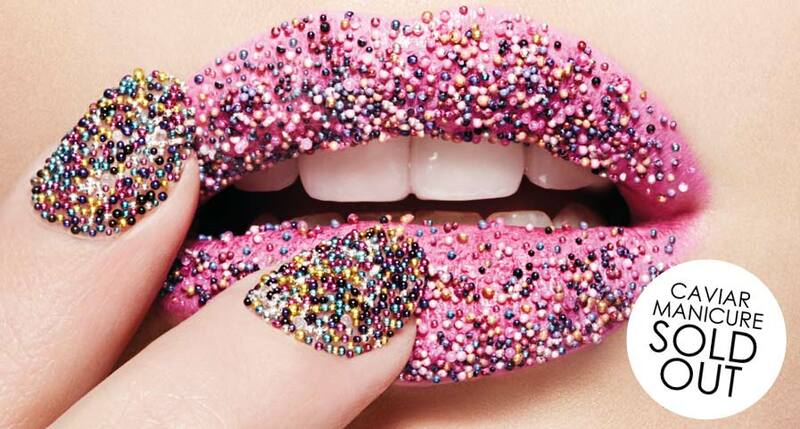 Well the new-new nail trend is Caviar Nails. A UK nail company, Ciate, is now packaging tiny crafts pearls for usage in nail art design. A few friends/fellow nail enthusiasts brought this article over on Madame Noire to my attention recently and I knew I had to find a way to make this concept my own. I already owned some of these tiny beads and I’d used them in an exploratory manicure just because I was so excited to get a package full of stones, rings, pearls etc. For this manicure, I decided to put more thought into the color scheme and incorporate the last new-new nail trend, the Outline/Border manicure. So here you go! For this manicure, I layered China Glaze Midnight Mission and Tempest for my thumb, ring, and pinky fingers. For the pointer-outline/border nail, I used OPI Pompeii Purple (which is really more of a fuchsia, no?) and outlined it with gold glitter polish. On the middle-caviar nail, the base color is the same as the majority of my nails, but I affixed purple, pink and gold “caviar pearls” to it. Judging by this pic currently on the Ciate site, it looks like you’ll need to use your own craft pearls (which can be found at Jo-Ann’s) for now if you’d like to try this manicure yourself. Hope you enjoy! 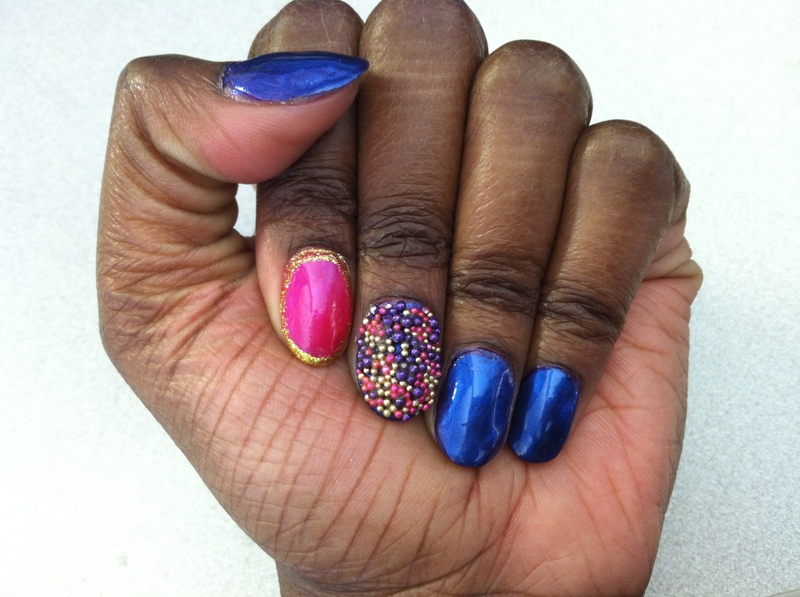 Posted on April 9, 2012, in Trend Watch and tagged Caviar Nails, China Glaze, Ciate, Madame Noire, nail art design, nail pearls, OPI. Bookmark the permalink. 1 Comment.